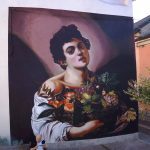 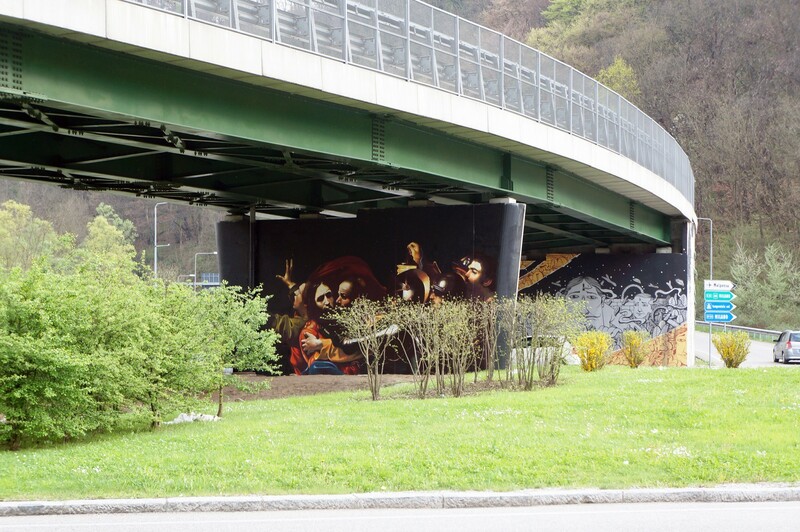 Italian artist Andrea Ravo Mattoni just wrapped up a sweet artwork in Varese, Italy for the latest edition of the Urban Canvas Street Art Festival. 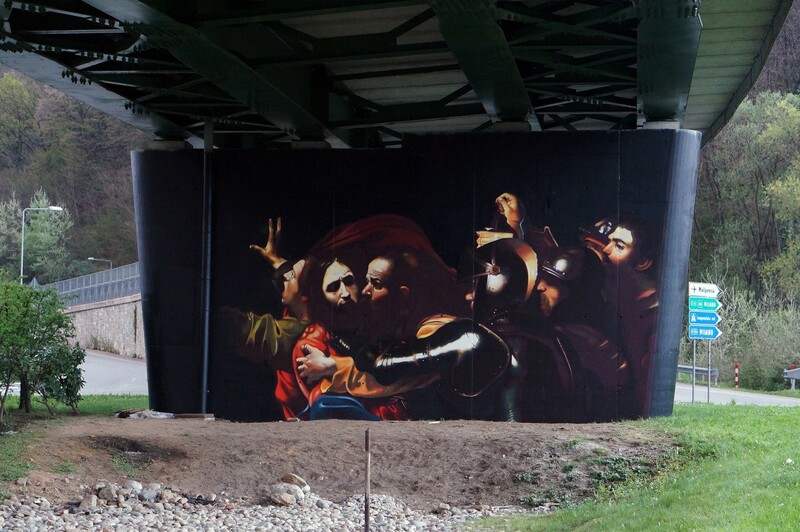 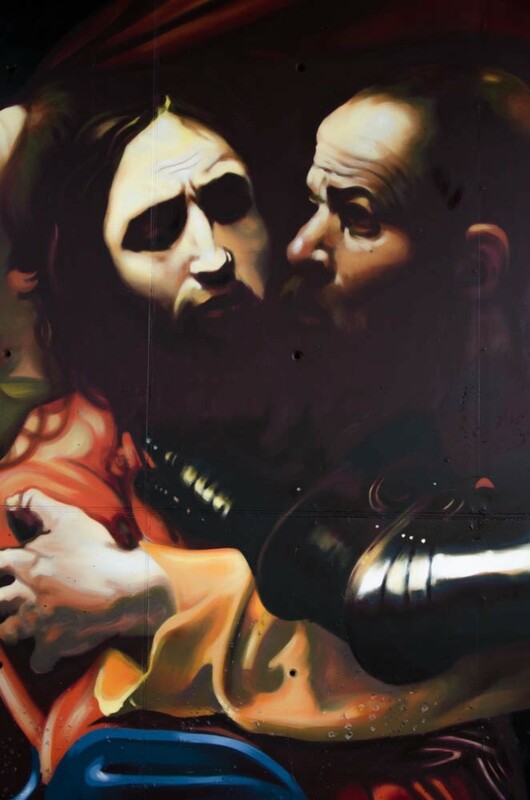 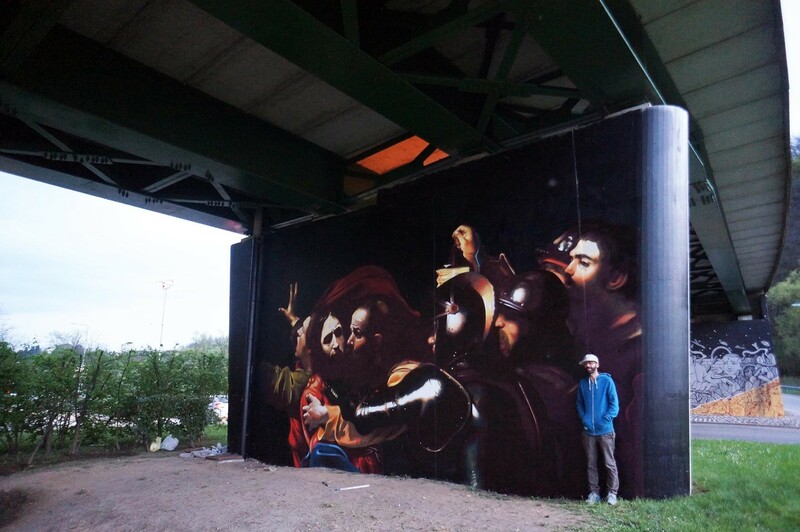 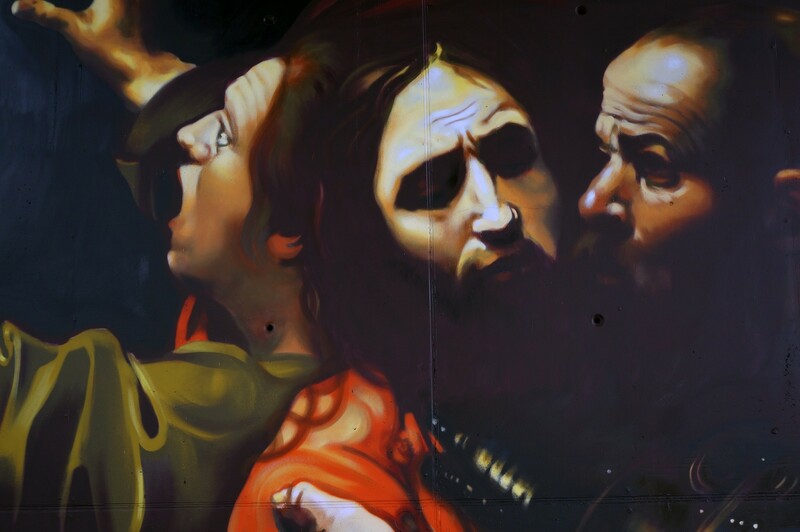 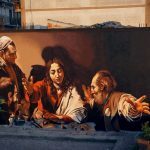 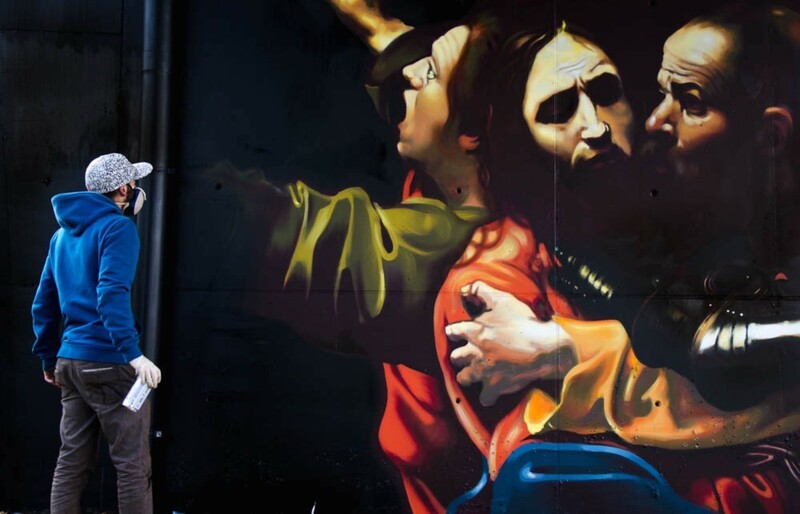 The painter reworked a version of The Taking of Christ which is a painting of the arrest of Jesus by the Italian Baroque master Michelangelo Merisi da Caravaggio. 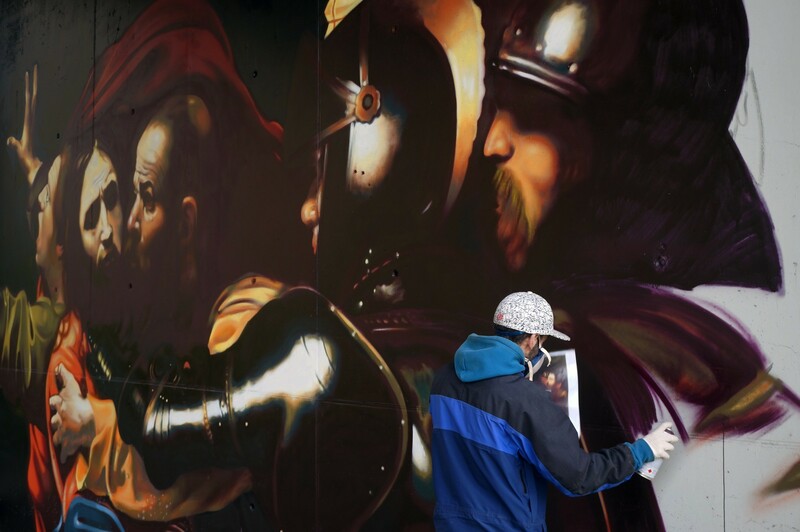 It was originally commissioned by the Roman nobleman Ciriaco Mattei in 1602. 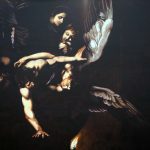 It is housed in the National Gallery of Ireland, Dublin. 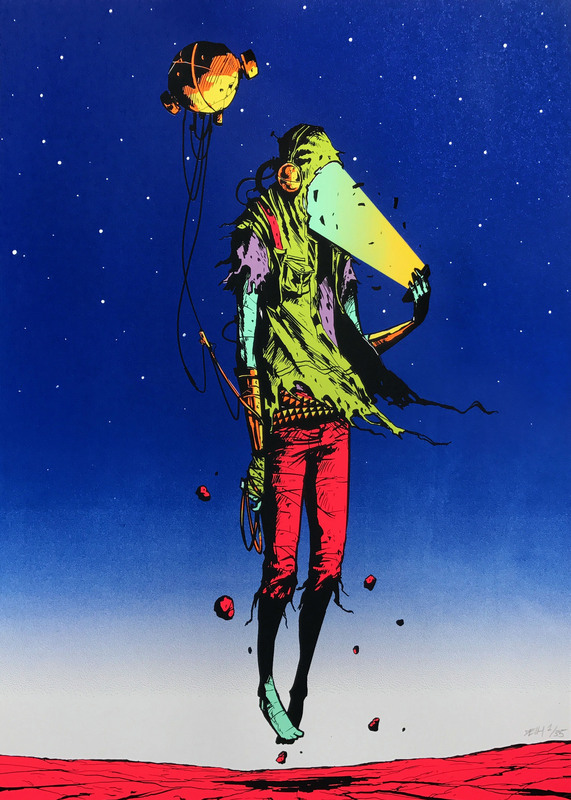 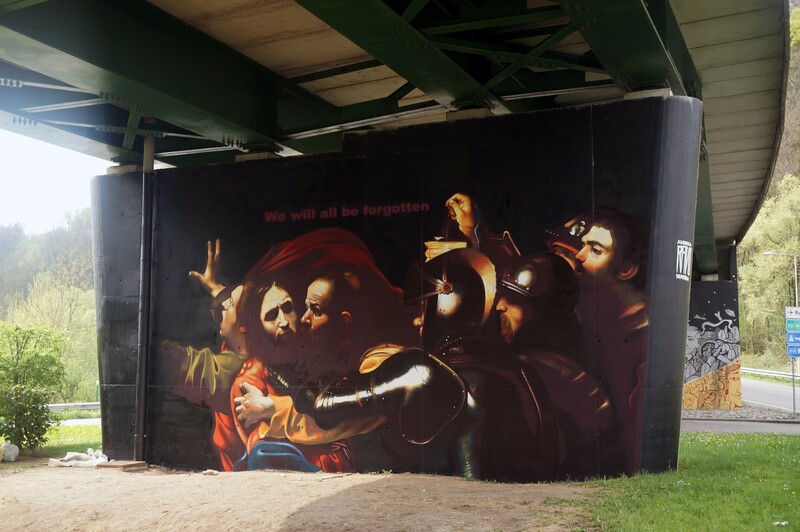 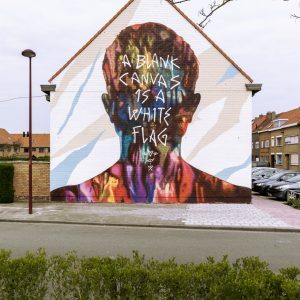 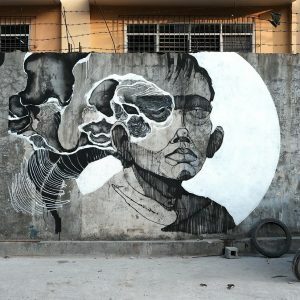 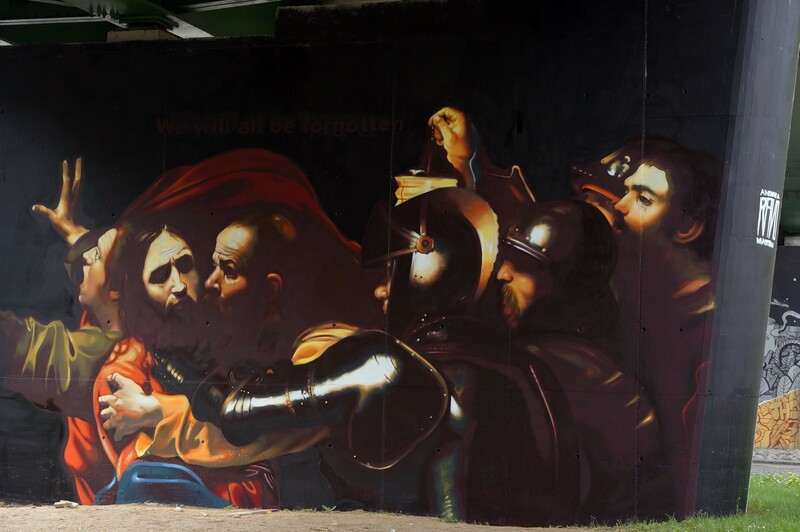 His piece is entitled “We Will All Be Forgotten” so take a look at more images below while you wait for more updates from the streets of Europe.